Welcome to TeamSnap! A few minutes is all it takes to get up and running with your team. These tips for getting started are aimed at players and their fans (parents, guardians, family members). If you are a coach or team manager, please check out Get Started Guide for Team Admins. If you’ve been invited but can’t find the invitation email, click here and we’ll help you track it down. Tip: If you don’t want to share your number with teammates, check the box next to “Make Private.” Coaches and team managers will be able to see phone numbers even if this box is checked. Click Take Me to my Team! and you are all set! Once you've connected with your team, accessing the team site from the My Teams dashboard is as easy as one click (once you're logged in)! 3. Just click on your roster name to below the team name to gain access to the team site under the appropriate roster profile. Note: Clicking the team name/icon will not open the team site. 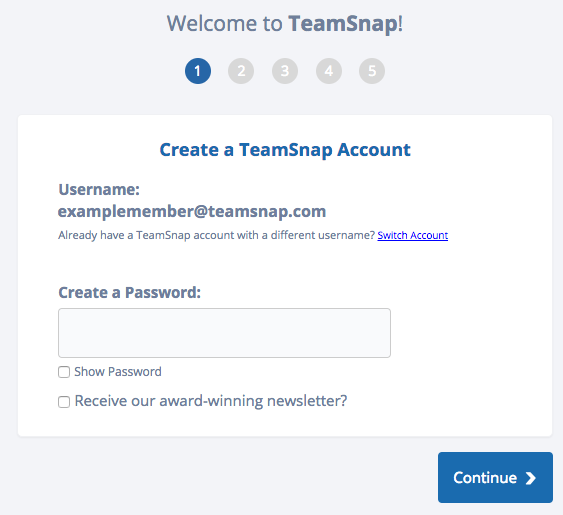 A profile must be clicked to enter the team site. If you have multiple profiles on a team, this gives you quick access to interact with the team using the selected roster profile. Set your preferences for how you'd like to receive alerts. We recommend leaving the settings as they are, but you can always adjust things like how far in advance you receive game reminders. The only thing better than TeamSnap is TeamSnap in your pocket wherever you go! Download our free app for iOS or Android, log in with your new username and password, and feel the power! A few days before each game, you’ll get an email asking if you’re available or not. Make sure to click Yes, No, or Maybe, so your coach has an accurate headcount for the game. Note: This feature is only available for teams on a paid plan . If your team is on the Free plan, the team plan will need to be upgraded by the team owner. Head over to the Assignments tab to view any available assignments for your upcoming scheduled events. When you find one you’d like to claim, just check the sign-up box next to that task! 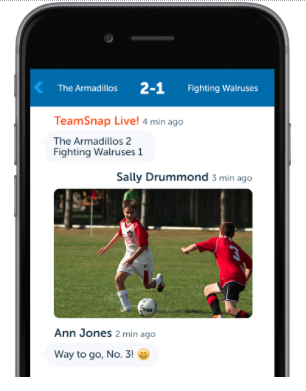 Want to provide live scoring updates, share pictures, and talk about the action with your team in real time? You can use the Team Chat feature to communicate with other members any time, and separate event chats will open up during game and event times for everyone to stay up-to-date in real-time! It comes with our free mobile apps, so give it a try!